In its early days, radio technology was often called wireless telephone. The Xbox was almost called the MEGA. But did you know that the internet nearly wound up with a different name too? Indeed, the internet was almost called the catenet. Just as the internet derived its name from the word internetworked, the term catenet came from the word catenated, which means to link together in a connected series. Given these origins it's probably safe to say that it was pronounced "cat-en-et" rather than "cate-net." But thankfully for Cates and Kates everywhere — who would probably still be suffering through a daily barrage of cringe-worthy puns from "that guy" at the office — the name didn't stick. In 1974 internet pioneer Louis Pouzin wrote a paper called "A Proposal for Interconnecting Packet Switching Networks" and presented it at Brunel University in London. In that presentation, he coined the term catenet to describe a network of networks that he expected to be adopted. 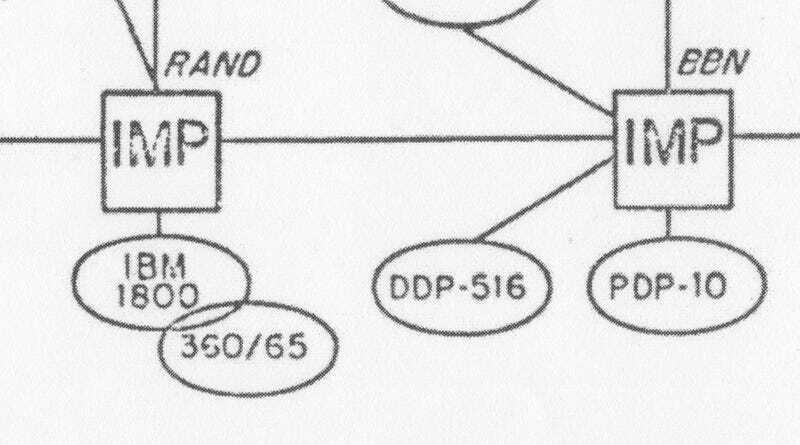 This, of course, was before the ARPANET would begin its migration to TCP/IP, the protocols underpinning our modern internet. Vint Cerf, another internet pioneer, would write a paper for DARPA in 1978 titled "The Catenet Model for Internetworking" that would try to define precisely what this catenet was. People within the research community still sometimes referred to the internet as the catenet well into the early 1980s. But by the late 1980s (TCP/IP's flag day was on January 1, 1983) virtually everyone was using the more broadly accept term internet. Anytime you discuss "the internet" it can become a linguistic challenge, as many publications (Gizmodo included) have dropped the capitalization of Internet even when used as a noun. Things are further complicated when you introduce terms like the world wide web (a perfectly acceptable synonym for internet in everyday parlance, but actually distinct from the internet) or the ARPANET (the precursor to our modern internet, but still discussed by organizations like the IEEE as something akin to the birth of the internet). New technologies require new words that allow us to talk about them. But there's nothing obvious about what any given tech's name should be. Somewhere in the multiverse, a catenet user is BackRubbing something — and probably not in the way you think.